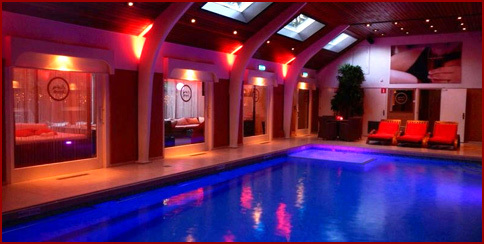 The indoor heated pool, sauna and whirlpool provide an extra dimension to your stay at Sexclub Boccaccio. Have a refreshing swim or relax in one of our comfortable lounge chairs and enjoy your company and drinks. The large doors lead you to the terraces and breathtaking private gardens of the estate, where our hostesses complete the scenery.